Have you ever come across the term satellite transponder in your Satellite communications subject? Actually it is nothing more than a frequency converter. As we know a satellite has an uplink frequency of 6 GHz and Downlink frequency of 4 GHz. Then the question is which device does all that ??? A transponder is a device which performs the function of frequency translation within the satellite. 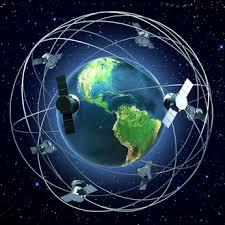 A satellite usually will have 12 transponders having 36 MHz of bandwidth each. So the total bandwidth of satellite is about 500 MHz. A satellite may be of many types depending upon the band of frequency it uses to communicate. For C band satellite, 500 MHz bandwidth of satellite ranges from 5925 - 6425 MHz for uplink and 3700 - 4200 MHz for downlink. For Ku band satellite, 500 MHz of bandwidth ranges from 14 - 14.5 GHz for uplink and 11.45 - 11.7 GHz for downlink. Defense Research & Development Organization (DAVP) Delhi has announced for the vacancies of Scientist and Engineer Posts. Eligible & Interested candidates apply before the last date. The last date of the form deposit is 10th April 2016. For more details like age limit, educational qualification, selection process, how to apply and other information of Scientist –Engineer Vacancies in DRDO (DAVP)-2016.